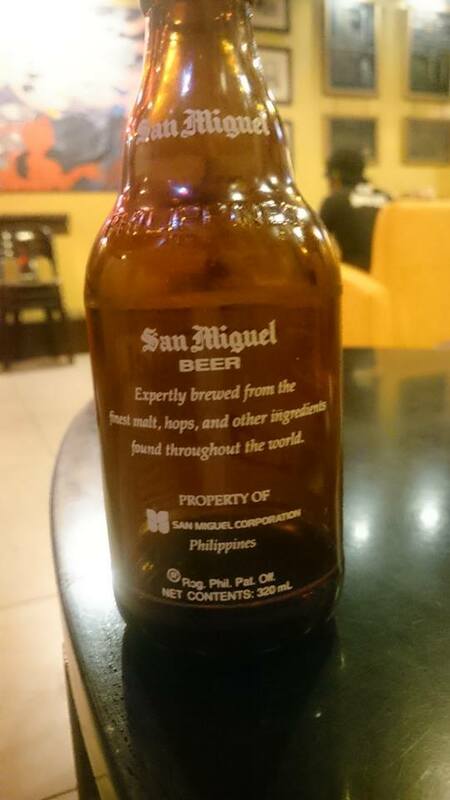 An overview of the Philippine beer market has to start with where it all began. 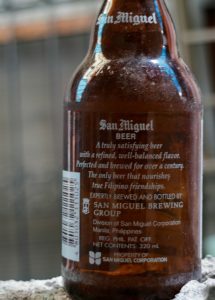 San Miguel Pale Pilsen has been brewed since 1890 making it one of the oldest beer brands in southeast Asia. It is one of the top 3 best selling beers in the Philippines and is also exported internationally to a wide variety of countries. Outside of the Philippines it is easily the most well known Philippine beer brand and one of the most famous Philippine brands overall right behind Jollibee. Among the younger crowd this beer is not as popular as the stronger Red Horse or San Mig Light, the Pilsen is seen as a drink for older folks. 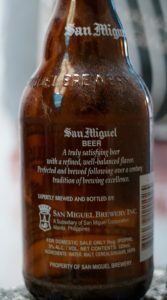 The spanish San Miguel beer was actually originally an offshoot of the Filipino mother company but today the two companies are entirely separate though confusingly enough sharing the same name. 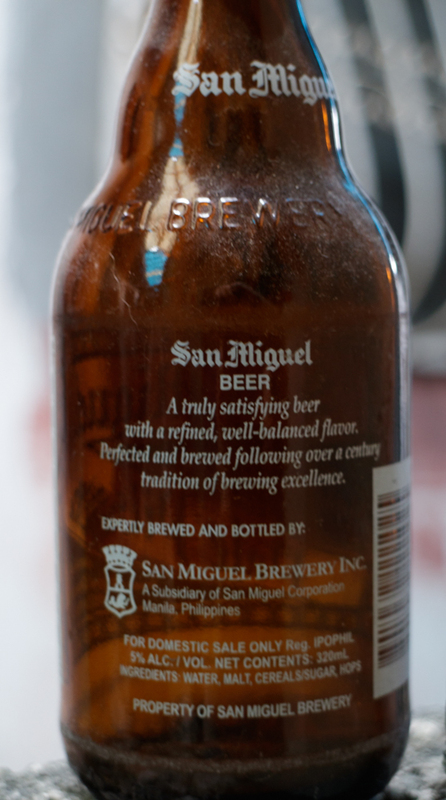 San Miguel Pale Pilsen pours a typical golden lager color and has a head that tends to disappear rather quickly. It is a pretty heavily carbonated beer. The aroma is fairly faint and smells of light malt and bread. The taste is fairly clean with that light maltiness and the aftertaste to me has a slight bitterness. I Find Pale Pilsen to be a non spectacular but highly drinkable pilsner. In the tropical heat one does not want a heavy tasting lager beer. But Pale Pilsen still has enough flavor to satisfy my taste buds. It is far more flavorful than many other Asian beers that are overall very watery and weak in flavor. Pale Pilsen can be found pretty much anywhere all over the country. Supermarkets, convenience stores and little Sari Sari stores will all stock this beer and pretty much wherever you are you can be sure that a cold Pale Pilsen is not far away. This beer comes in it’s iconic 32 cl short stubby bottle, a 33 cl can and the big 1 liter glass bottle best shared with friends. There is also a standard 33 cl glass bottle that is often referred to as “long”. For some reason these sell for more in some restaurants. Don’t buy them if that’s the case since it is the exact same beer as in the cheaper stubby bottles. A truly satisfying beer with a refined, well-balanced flavor. Perfected, and brewed following over a century tradition of brewing excellence. A truly satisfying beer with a refined, well-balanced flavor. Perfected and brewed for over a century. 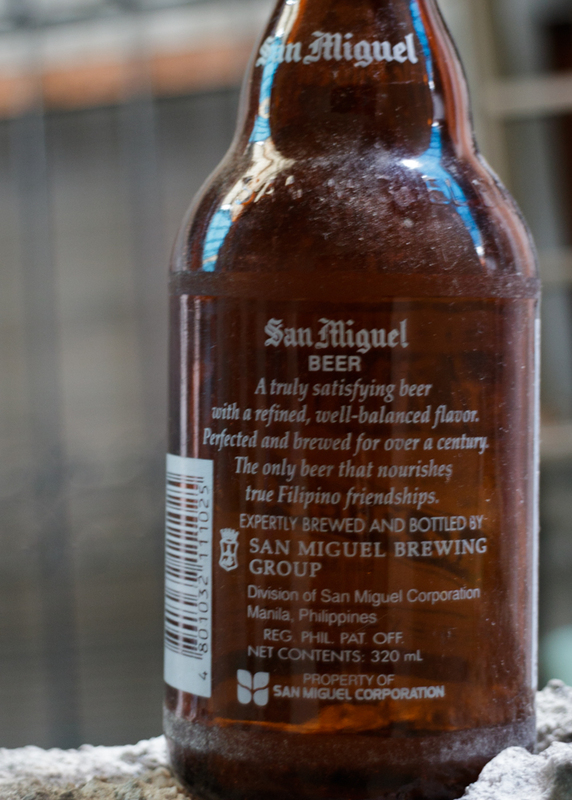 The only beer that nourishes true Filipino friendships. During 2 years in the Philippines I have only seen this one a couple times. Finding this one is way more exciting to me than the legendary happy horse (more on that one in my upcoming Red Horse review). If you are a fan of standard European style lager beers then San Miguel Pale Pilsen should be the first beer you try in the Philippines. For me it is the standard that I will compare other beers in the country to. Is that imported Heineken really worth the Extra Peso? For me the answer is often no since Pale Pilsen is a pefectly fine representation of the style. If I am going to spend extra on a any lager beer, domestic or import, it has to be significantly better or at least different in flavor from the trusty Pilsen.